Today the Financial Times announced that it has updated its list of journals used for ranking global business schools. The newspaper counts the per capita faculty publications in these journals to calculate the research ranking of faculty, and this research score accounts for 10% of the Global MBA, Executive MBA and Online MBA rankings. The starting point of this review was to look at the journals that contribute the least to the research rank. Given that the list is limited by nature, it is important to “capture” as much of the research published by business school faculty as possible in leading journals, if not necessarily in the most selective ones. However, it was never meant to demote nor to promote any journals. The FT list of journals is not a ranking. … It is likely that 50 will be the upper limit for this list. So future reviews will also look at potential journals to drop and their replacement. As an associate editor of Research Policy, I can say that the editorial board is very proud of the recognition that comes from being added to this list. While subjectively many would consider RP on par with journals such as Journal of Business Venturing and Journal of Management Information Systems, by Google’s ranking of high-impact (h5 index) papers it ranks at the top of Entrepreneurship & Innovation journals. It is unclear what impact any of these changes will have upon business school hiring and promotion. US business schools tend to use the Business Week rankings while the rest of the world uses the FT rankings. Unlike in Europe, few American business schools have an innovation or technology management department, which means that innovation scholars tend to be found in strategy, management, entrepreneurship or operations management departments. Still, it seems like a good omen for innovation studies in Europe and the rest of the world, and should bring RP greater visibility in the U.S. I remember when I was up for tenure in 2005, the department tenure committee was questioning my 2003 RP publication (which until recently was my most cited journal article). “What is Research Policy?” one of the committee members asked another colleague (who could offer the answer). Hopefully there will be less of that going forward. A merged version of the 2003, 2012 and 2016 lists can be found on Google Drive. 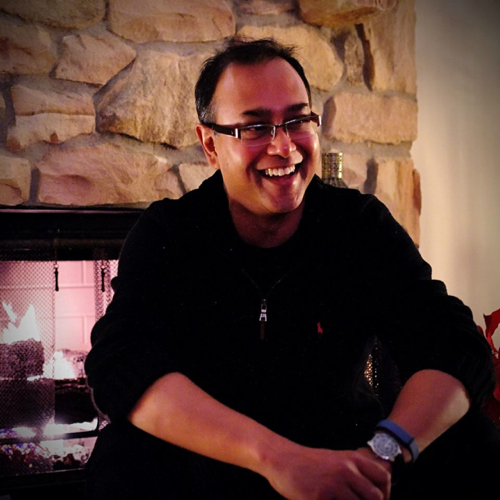 Mitrabarun Sarkar, Lenfest Professor of Entrepreneurship and Innovation at Temple University, died Tuesday at age 54. He leaves behind a wife and two adult daughters. I first met MB in Boston at the 1997 Academy of Management meeting, where we both participated in the doctoral consortium of the Technology and Innovation Management division. (Other participants that year included Ajay Agrawal, Erwin Danneels, Lee Fleming and Alan MacCormack). MB was then a Ph.D. student at Michigan State, where he graduated in 1999. Upon graduation, he joined the University of Central Florida where he was an assistant and then associate professor. He joined Temple’s Fox School of Business in 2008, and became the H.F. “Gerry” Lenfest Professorship in Entrepreneurship and Innovation in 2014. During the past 20 years, his publications included 5 in AMJ, 4 in SMJ, 2 JIBS, 2 Org Sci, as well as papers in JBV, JMR and Mgt Sci; his h-index is 24 (i.e., he has 24 papers with 24+ Google citations). In 2005, AMJ selected his paper as the best paper of 2014. He wrote about e-commerce, telecommunications, pharmaceuticals and construction. At the time of his death, he was an associate editor of SEJ and on the editorial boards of AMJ, GSJ and SMJ. However, at Temple he was known for his teaching, having won in 2013 the university's highest teaching honor. Within the business school, he won more than a dozen teaching awards and created its Global Immersion Program in Emerging Markets. Before entering grad school, he spent 6½ years as Founder/CEO of Infocom, an Indian media company. He has an MBA from IIM in Ahmedabad and a BA in Economics from St. Stephen's College, Delhi. MB Sarkar, 1961-2016: requiescat in pace. Photo credit: MB Sarkar's public LinkedIn page.